Performing at 7:15pm on Thursday, June 19th at venue 12, the Winnipeg Art Gallery. 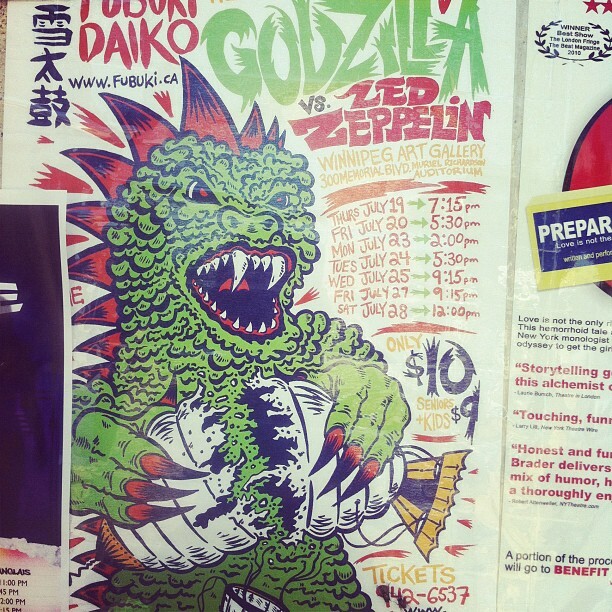 For the past 17 years, Fubuki Daiko has been reinventing this traditional art form. Merging primal roots with modern sensibilities, the group has thrilled audiences across North America with their musicianship, humour and sheer physical stamina. Performing at 5:00pm on Saturday, July 21 at venue 18, the Gas Station Theatre. Three-time Best of Fest winners and Canadian Comedy Award nominees Hot Thespian Action return to the Winnipeg Fringe with a brand new offering of their trademark physical, musical and inventive comedy. 100% guaranteed to make you laugh… note, this is not a guarantee. Performing at 9:00pm on Tuesday, July 24th at venue 18, the Gas Station Theatre. SnF premiere a naughty parody of classic fairy tales, wrapped in a mystical conundrum of… oh, who we kidding: it's stupid, musical and dirty. 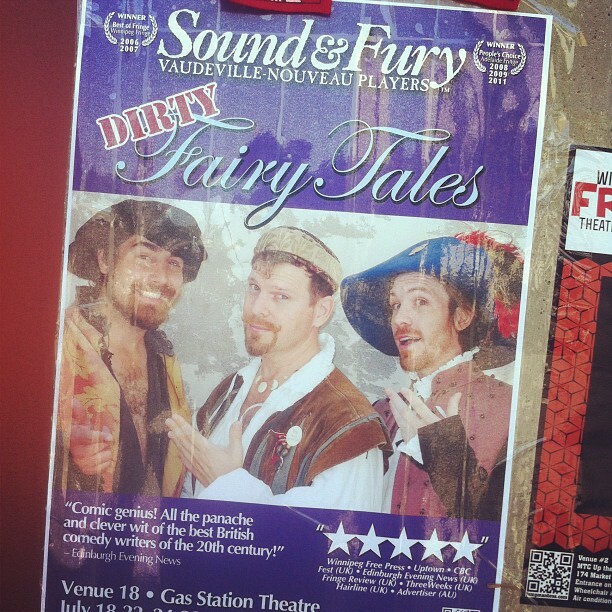 Three classic fairy tales -- plus a fully improvised one each night! Performing at 11:00pm on Friday, July 27th at venue 18, the Gas Station Theatre. 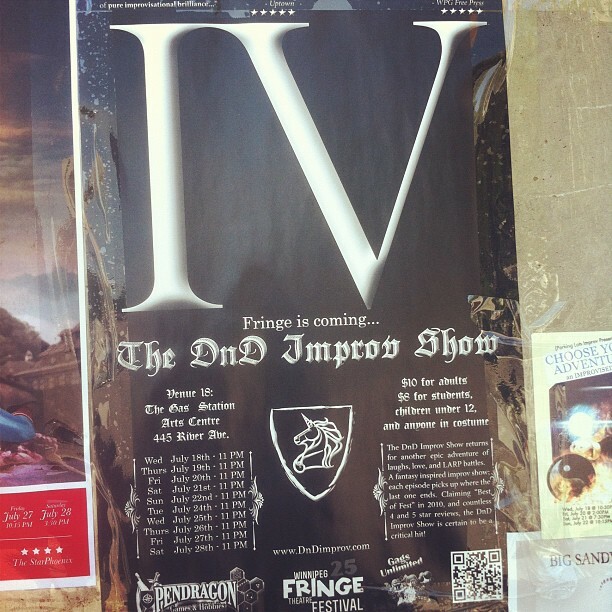 The D'n'D Improv Show returns for another epic adventure of laughs, love and LARP battles. A fantasy inspired improv show, each episode picks up where the last one ends. This adventure is sure to be a critical hit!